What Are the Benefits of Establishing Paternity? How is it Done? Posted on 09/06/2016 What Are the Benefits of Establishing Paternity? How is it Done? Establishing paternity is the process of documenting the legal relationship between a father and a child. There are a variety of situations parents are in when establishing paternity is needed. This is a relationship established by the court for legal purposes and has no bearing on any biological relation. The “legal” father is the person who bears the rights and responsibilities of parentage and may not be related by blood at all. Establishing paternity comes with a number of advantages for every member of the family. It ensures they have a legal right to a relationship with their children and can make future parenting agreements such as custody and child support arrangements less legally complicated. It allows for travel with the child. It makes it possible to change the child’s last name. It provides legal rights when there is a fear that the other parent may take the child without consent. For a mother, establishing paternity can be important in order to share the duties of being a parent or to help enforce a child support order against a father if it becomes necessary. Establishing paternity provides important benefits to the child, including the right to claim VA benefits, social security, inheritances, life insurance, and medical insurance coverage. It also can help the child form an emotional bond with both parents and lets both parents share in the life of the child. Paternity is often established voluntarily, either at the time of birth or shortly afterwards. In Washington, paternity is automatically assigned to the husband when a couple is married or in a domestic partnership, regardless of whether or not the husband is the biological father. Establishment is done at the hospital or clinic (or with the midwife, if birthing is done at home) via an Acknowledgement of Paternity form. The form can also be completed later by mailing the signed, notarized form to the Washington State Department of Health’s Center for Health Statistics. It’s important to do this promptly, as a delay can result in a filing fee. If the mother is married to someone other than the biological father at the time of birth, the current husband is automatically presumed to be the legal father. If the biological father is to be considered the legal father instead of the current husband, then the current husband must waive his paternity rights by signing a Presumed Parent’s Denial of Responsibility. Sometimes, paternity can’t be established voluntarily for a variety of reasons. For example, there may be a question of identifying the father, or multiple claims to paternity may exist. In these kinds of situations, establishing paternity through the legal system may be required, and a court order may be necessary to obtain a genetic test. The mother can also approach the Department of Child Services and the case referred to the King County prosecutor. The prosecutor will not take sides with either parent or claimant involved and will act only on behalf of the child. You do not need an attorney for this process, but you may choose to hire representation to assist you. The mother, a presumed parent, or an alleged parent may also file a Petition for Establishment of Paternity through the court. This will cause a summons to be served, to which the opposing party will have a chance to respond, and the issue will proceed through the court system. You do not need an attorney to do this, either, but you may wish to hire one to assist you in the process. While an attorney isn’t required by law in order to establish paternity, having legal representation by your side can make the process easier. 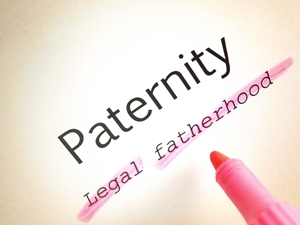 If you would like assistance with your Paternity Acknowledgement Form or have any other questions about how to establish paternity, the Law Offices of Molly B. Kenny are here to help. You can reach us at 425-460-0550 to arrange a private consultation in Bellevue with one of our paternity attorneys. What is a de facto parent? Can I go to court to terminate the parental rights of my ex?